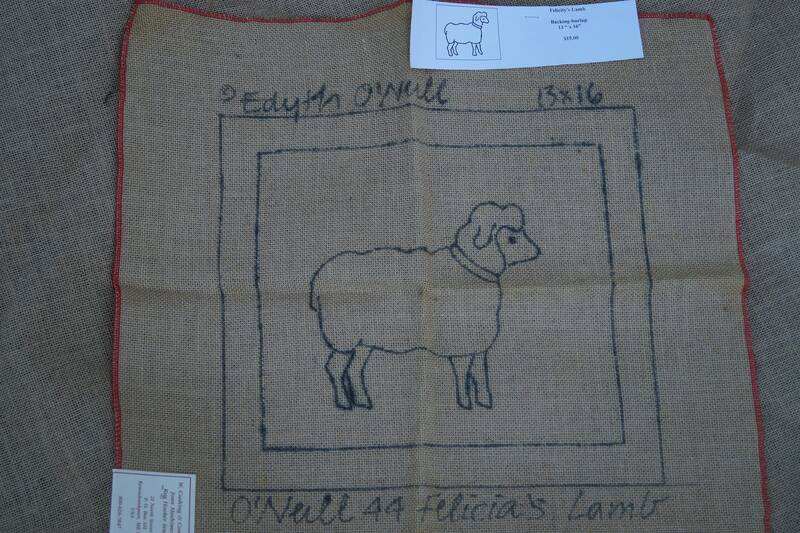 FELICITY'S LAMB stamped rug hooking burlap backing. Measures 13 in. high by 16 in. wide.